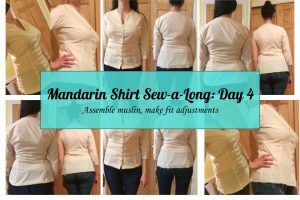 Find the rest of the Sew-a-Long series here! 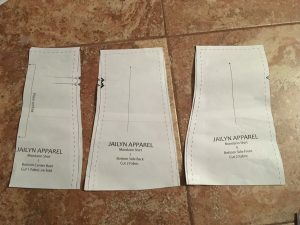 First, assemble your shirt according to pattern instructions. They are really terrific! I love the illustrations of each step. And I was pleasantly surprised by how easily and quickly the top came together! Truly the most time consuming part of this pattern is the fitting. But that’s the whole point of sewing for yourself, isn’t it? It was a dream working with all of these pattern pieces – they aligned perfectly. I imagine this is why quilting is satisfying for so many people….everything fitting together so nicely! I am an extremely sub-par quilter, so quilts don’t really do it for me, but I LOVE a well-cut, non-slippery woven clothing pattern! 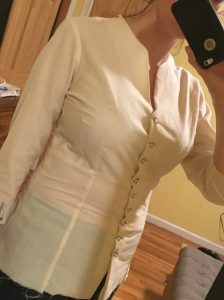 As mentioned before, for the muslin I omitted the collar and cuffs. I even omitted the buttons and buttonholes at first, but I did add them in later. Once it’s together, try the top on. 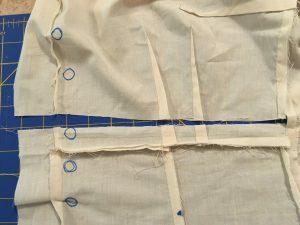 I pinned together the buttonhole markings for the initial fittings. 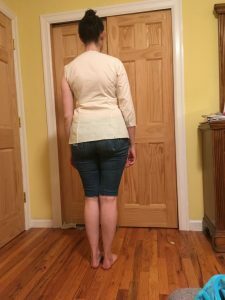 For my first pass, I raised the waistline. 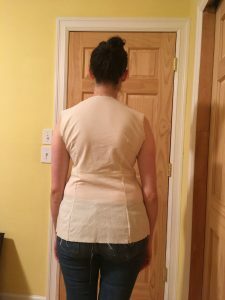 I had added an extra 1” to the length of my pattern piece, but it looks as though I didn’t need it for my waist! I did, however, need the depth because my breasts have a lot of forward projection. 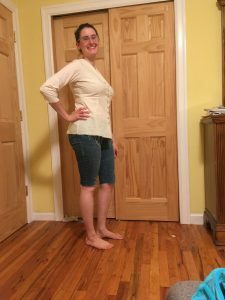 I liked where my lengthened darts ended…so I left the darts as-is and took an inch out of the waist right above the waist seam. 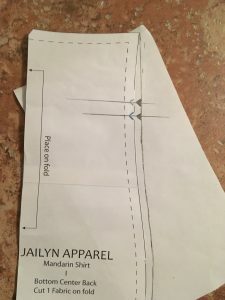 I compared to my pattern piece to check seam allowances. 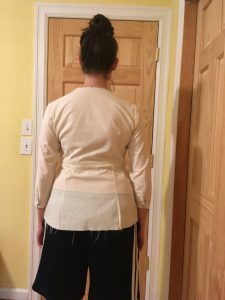 After I finished the waist, it looked great! 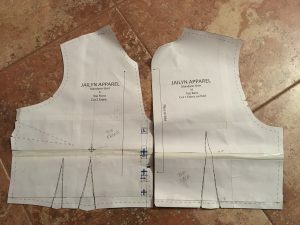 To reflect this adjustment on the pattern, I simply removed the lengthened portions on my top bodice pattern pieces and adjusted the darts accordingly. 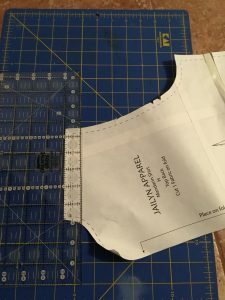 For the paper pattern adjustment on my hips, I taped paper to the edges of my center back, side back, and side front pieces. I measured out the desired amount from the original edge, drew a new edge, and cut! Lastly, and most tricky, was adjusting the shoulders. They were still baggy and it bothered me! My shoulders are fairly narrow. 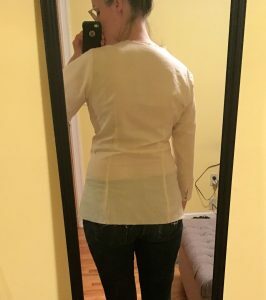 I ended up taking an entire inch off the top of the back shoulder! 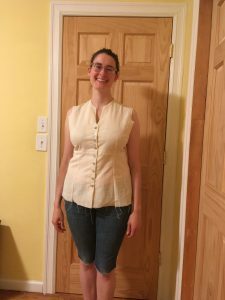 I graded the armhole out to accommodate this change. 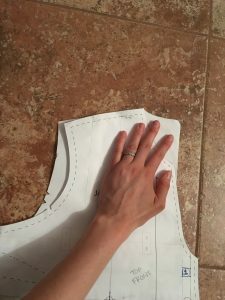 I removed the sleeves to better check the armhole fit at this step. 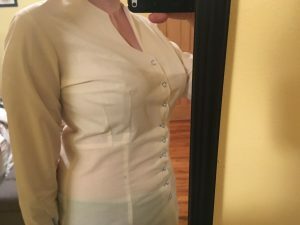 I noticed that there was some extra bulk under my arm as well, so I took the top bodice side seams in a little bit (shown in blue thread). 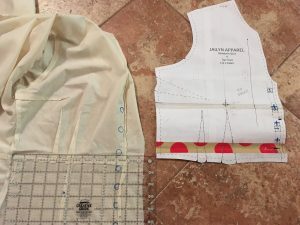 I didn’t adjust my pattern piece for this adjustment – I’ll assemble my final shirt and assess what needs to be done at the very end! 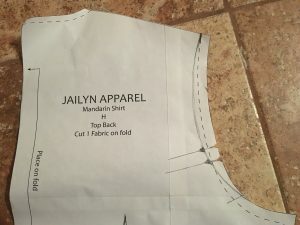 Taking in this seam is easy, especially with how the Mandarin top is constructed. 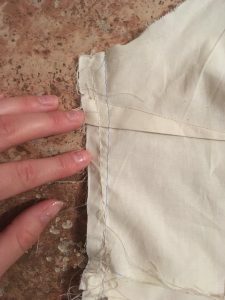 You set in the sleeves before sewing up the sides. 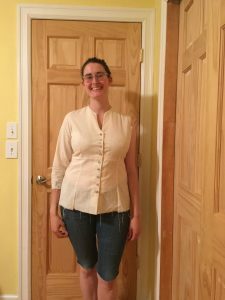 Lastly, I adjusted the curve on the sleeves to mimic my new armhole curve! I also took in the sleeves just a bit, since my arms are narrower than the pattern is drafted for. 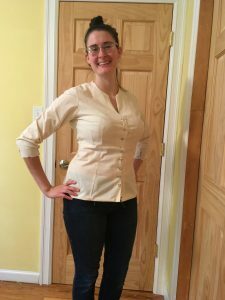 I only set in one sleeve to check the fit – but it turned out excellent! 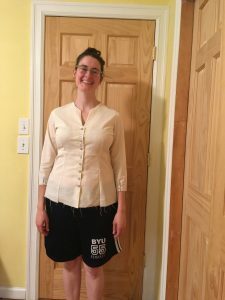 I am sooooo excited for my final finished top! 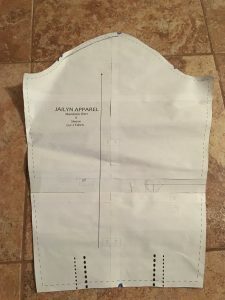 The final adjustment I made to my paper pattern was lengthening the sleeves by a tiny bit. My arms are long, and I wanted my final sleeves to hit lower on my arm. 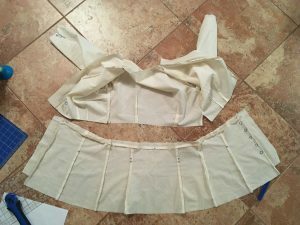 I didn’t check this adjustment on my muslin, but it is a simple one so I didn’t feel the need to do a test run. Again, the pencil line along the top is my new seam allowance line for the adjusted armsyce! Et voila! Perfectly adjusted paper pattern. 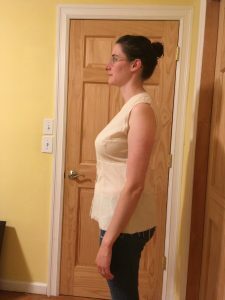 Now you can go on and make as many of these beautiful, perfectly fitted tops as you’d like! !